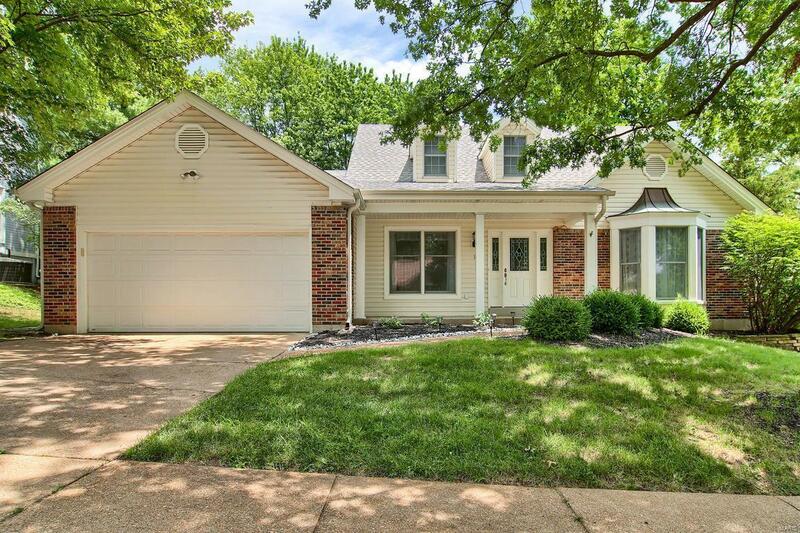 Beautifully maintained 1.5 story home in desirable Timber Ridge Estates! This home is perfect for family entertaining with a breakfast area off of the kitchen, formal dining room and living room. Plus the kitchen opens to the vaulted great room! Maintenance free exterior, wood insulated windows, and a private back yard. The home has a 2 story entry foyer, main floor bedroom suite with a walk in closet and bath with double sink vanity and separate tub and shower. Newer roof and high efficiency HVAC! Quiet area but still close to amenities, this home is just waiting on its new saga! New carpet in the Master Bedroom, Refrigerator, Washer and Dryer to stay! Home comes with a 1 year home warranty!